NJ Haunted House, Field of Terror in East Windsor, New Jersey- A 6 acre walk through haunted corn field that will surprise you around every turn. Click this profile for information, directions, photos, videos & more. 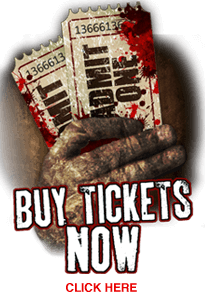 ABOUT "FIELD OF TERROR "
NJ Haunted House HIGHLIGHTS: A 6 acre walk through haunted corn field that will surprise you around every turn. Take a ride on our Terror Ride, a haunted hayride into the dark unknown!! our third attraction--our haunted barn called the UNKNOWN where we will prey upon your fears one sense at a time! And experience our latest attraction for 2011..Dementia..a 3D walk of terror that will reach out and GRAB YOU!! NJ Haunted House SPECIAL EVENTS: Check out our website for special events including FIREWORKS on opening night Saturday September 24th and again on Sunday October 9th!! !